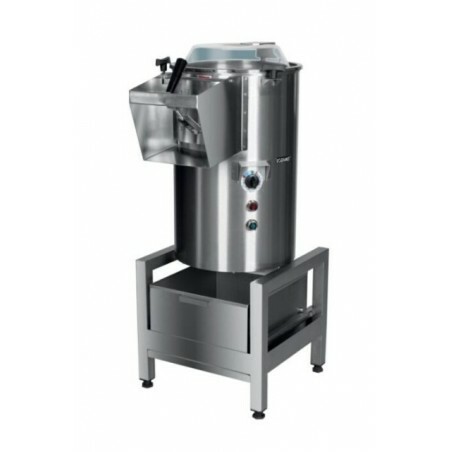 Peelers are appliances designed for mechanical potato or other root vegetables peeling. Peeling process is performed by a grinding disc which is rinsed under running water. 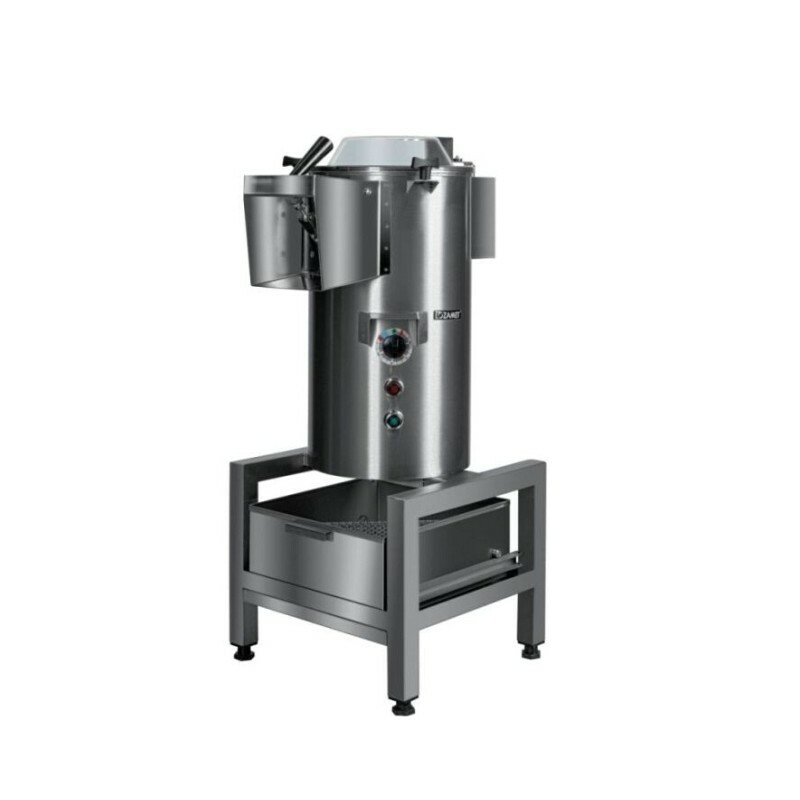 Capacity 140-210 kg/h. Spread the cost with finacing for as little as £12.14p/w + VAT for this product. Call us today to apply. Subject to a credit status. By buying this product you can collect up to 115 loyalty points. Your cart will total 115 points that can be converted into a voucher of £ 23.00. 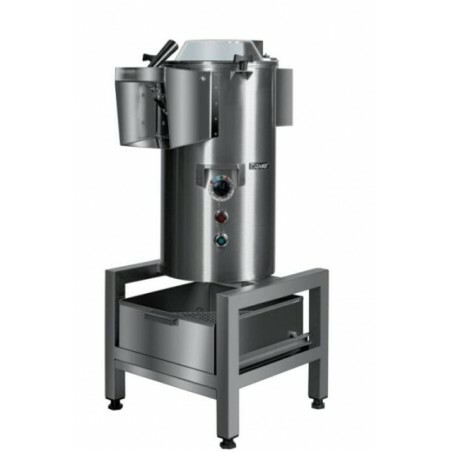 The basic unit of the peeler is its working chamber shaped as a cylinder. A replaceable grinding disc is installed inside the working chamber. Electric drive unit is located under the working chamber. From the top, the working chamber is tightly closed with a transparent cover, which allows observation of the peeling process. Products are poured into the peeler after opening the cover. The front part of the working chamber has a door with a discharge funnel for removal of peeled products. Peelings and water are discharged into a settling tank located in the peeler base. Peelings remain in the settling tank and water is discharged to external sewerage. Peelers have a timer, which allows you to set a desired peeling time. Water is dosed through the solenoid valve which controls water supply during peeler operation. The cover switch deactivates the peeler’s drive (and cuts off water supply) after opening the cover. This prevents accidental activation of the peeler when it is being filled with products. The peeler base has adjustable levelling feet.